Princess Campground sits next to a large meadow at an elevation of 5,900 feet in the Indian Basin Grove and has 88 campsites. Some sites have views of Hume Lake. Others have a view of the adjacent meadow. The campsites can accommodate tents, trailers and RVs. Nineteen of the sites are tent-only. Princess campground is usually open mid-May to mid-September and is just 3 miles northwest of Hume Lake. Amenities include drinking water and vault toilets. Firewood is also available for sale from the camp host. Each campsite has a table, fire ring, grill and food storage locker. Outdoor recreation includes hiking, mountain biking, horseback riding, picnicking and wildlife viewing. Nearby Hume Lake also has boating, canoeing, kayaking and fishing. Hume Lake Campground is down the hill about 3 miles away. It has 74 campsites for tents, trailers and RVs. 15, 21, 22, 23, 43, 60, 69, 74, 75. Visted Princess Campground lately? We'd love to hear about your adventure. Did you find us useful? Did we forget something? Anything our community should know before heading out to Princess? Princess Campground is a peaceful site. Located in between Hume Lake, and Grant Grove it’s the perfect setting to explore the best of Sequoia and Kings National Forest. 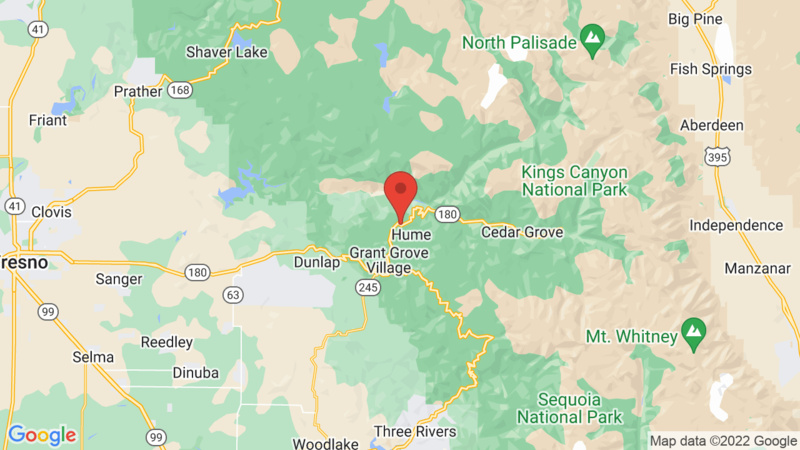 Hume Lake is a 10-minute drive up a road with a general store, small restaurant that sells burgers, chicken fingers, and ice cream. You can also rent paddle boats, hike around the lake, or sit on the lawn for a nice picnic. Grant Grove is about a 10-minute drive down the road with scenic views. Pack a quick lunch and enjoy the easy hike around Grant Grove. Princess campground also has it’s own trial located at the entrance of the campsite. The trail offers a beautiful view of the meadow next to the site. Each site offers a table, and a fire ring. Remember to bring your bikes so that you can take a ride around the campground. Loops have several vault toilets, that are cleaned regularly by site staff. No showers, but you are in the middle of the forest so please remember what camping is really about. A quick bird bath in your own make shift shower can easily freshen you up. Each Saturday night during the summer, the campground offers a fun story time/or bird event at at the amphitheater. This is our favorite campground to get away and enjoy what John Muir loved in his past time. Hi my name is Maria. we are planning a family reunion this summer at princess campground, and was wondering if we can rent the amphitheater for a few hours in the day time?